“Sunlight Society” – Margaret Ronald: This isn’t really as much about superheroes as it is about advanced/integrated technology within a person. Though there does seem to be some superheroes in the society structure surrounding the story. Basically, a tech-head gains access to a highly fortified place i norder to get rid of a super virus … a virus, we learn, that the tech-head himself wrote. There, the tech-head downloads all the information on the computers, gaining access to information such as superhero secret identities. An interesting story that didn’t really go anywhere. Reads like the first chapter of a novel. “Secret Identity” — Kelly Link: A sad commentary of a fifteen year old girl who ventures out to meet a man she met on-line through multi-player role playing games. The plan is to meet at a hotel which is hosting both a superhero convention and a dentist convention. Which one is Paul Zell…her mystery man? “The Illustrated Biography of Lord Grimm” — Daryl Gregory: Told from the point of view of a villager in a town, very similar to Latveria…Dr. Doom’s home territory. Even features a character (Lord Grimm) who is described much like Doom. Very well written. Best of the first four stories, easily. “Tonight We Fly” — Ian McDonald: What happens to an aging supervillian? This is one such story. “Wild Card” — Leah Bobet: A seemingly normal criminal claims to be supervillian … there are no super heroes without first a supervillian. Police discover his secret identity rather easily (he’s a comic book fan) and find his secret hideout (a storage unit). “Heroic Measures” — Matthew Johnson: How do you let a superhero die when his body super-heroically fights to stay alive? “The Biggest” — James Patrick Kelly: In the late 1920’s-early 1930’s, Fillbrick van Loon aka “Stiltman” or “the Stilt” or “Big” looks to work for Governor Franklin D. Roosevelt. “Dr. Death vs. the Vampire” — Aaron Schutz: With the questionable ‘ability’ of killing people by lethal injection and making it look like heart attacks, Dr. Death, and his tenuous connection with a League of Almost-Superheroes, faces off against a vampire. “Superhero Girl” — Jei D. Marcade: Is his girlfriend a superhero, with a lot of enemies, or a young girl dying of cancer? “Super Family” — Ian Donald Keeling: The children of superheroes learn the truth about their parents as they realize their own super powers in front of the family arch-nemesis. “The Strange Desserts of Professor Natale Doom” — Kat Beyer: A young girl with a highly developed ability to work with electronics, engineering, and cooking. “Downfall” — Joseph Mallozzi: A former supervillain is pulled out of retirement to help the FBI investigate the mysterious death of a grandstanding superhero. “Dirae” — Peter S. Beagle: Not a human, but a spirit who appears where tragedy is about to happen. “Grandma” — Carol Emshwiller: A grandchild is left to care for an aging superhero. “The Los Angeles Women’s Auxiliary Superhero League” — Elana Fortin: Three young women discover their super powers (such as they are) and form a league, complete with agent/promoter. “Wonjjang and the Madman of Pyonyang” — Gord Sellar: A superhero can still be human, with meddling parents and desires for companionship. It’s not likely that this book will be picked up by anyone not already interested in superheroes or comic books, or in some other form of this genre, so we can skip the conversation about who this book would be targeted toward. Clearly it’s for someone just like me…someone who enjoys science fiction/fantasy, comic book superheroes, and short fiction. Sounds like win-win-win! As is typical with anthologies, I find that there are some stories I really enjoy and some that I simply can’t get in to. This collection is no different. While the first two stories (“Sunlight Society” and “Secret Identity”) were both well written and interesting, but I did wonder if I was really about to read a book about superheroes — these main characters seemed anti-heroic, or touched on superheroes only very briefly. Definitely seemed an odd beginning. I really enjoyed “The Illustrated Biography of Lord Grimm.” While this, too, seemed to deal with superheroes somewhat indirectly, it connected with me as a comics reader. This story seemed to be told from the point of view of a villager in a poor nation, dealing with the effects of a superhero/supervillian battle. It’s a brilliant concept, well told. The fact that this seemed so clearly to be a village under the rule of comics villian Dr. Doom (of Fantastic Four fame), helped with my visualizing the story. “Tonight We Fly” and “Wild Card” were not particulalry strong stories, for me. “Tonight We Fly” was an interesting concept but no longer a new one. “Wild Card” was also interesting, but mostly was just a dull read for me. Aging superheroes are not a new idea, and we see a few of them in this collection, but “Heroic Measures” is a slightly different take on the theme. I don’t want to give anything away, but it looks at medical issues for the super-powered. Very nice. Again, I come to a story that is told well (“The Biggest”), and is an interesting read, but ultimately leaves me with a “eh” attitude. I wanted to like it…I enjoyed the personal aspects, but it just didn’t follow through. “Dr. Death…” was another in the vein of ‘not quite a superhero’ as I felt the first couple of stories were. Again…nice writing, well told, but the lack of true super-hero power left me wondering what the criteria of this book was all about. I understand and appreciate trying to change it up…to not be too traditional…but this one left me a little exhausted. I was trying to invest myself, but it just wasn’t working. “Superhero Girl” follows in the same vein…not quite a superhero. Again, well written, well told, but …. Finally we come to what one might consider a more traditional superhero story, “Super Family,” and a strong showing at that. Although possibly a little too much like Pixar’s The Incredibles, this was really a delightful read. Parents retired from the superhero business, an arch nemesis that won’t quite let them retire, and children who are just discovering their family history and their own powers. A very nice work. Kat Beyer’s piece, “Strange Desserts…” is a fun read that might seem a little borderline as to whether or not there’s true superheroism here…but a superhero doesn’t mean super power, although she might have that as well. This was an oddity that actually fits well in to this collection. The last five stories are much more traditional with their definitiion of superhero. “Downfall” brings the supervillian out of retirement, by coersion, and “Grandma” sees an aged superhero cared for by child. “The Los Angeles…” might be one of my favorites as it takes on an aspect that wasn’t touched on anywhere else…promotion and management…how does a new superhero or super team get the recognition they deserve? But it also plays with what makes a superhero and super powers. A very nice take! “Wonjjang and the Madman…” repeats a theme of superheroes being human and having some of the same troubles that ‘ordinary’ people have, but it does it well and offeres a unique voice by placing the super in a location other than the traditional European-American style city. Peter S. Beagle’s “Dirae” might be the most original of all the works in the collection (though not necessarily the ‘best’). More lyrical than the others (almost a poem rather than fiction), this tells of a character (not a human) who appears when a distaster is about to happen and that character works to prevent it. An interesting read, original as I say, but I was a bit bored with the style. It might be that for a book on superheroes, I’m charged for something more than poetic lyricism. 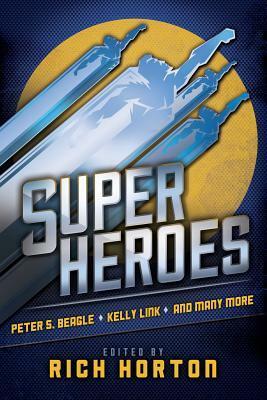 Let’s acknowledge that super hero doesn’t mean super power, and not all these characters have super powers, but not all are super heroes (or even super villians) either, and I question their inclusion in this anthology. There’s also a familiar theme, no longer original, of aging super heroes. What happens to the super hero who gets old? The other theme that seems prevalent here is darkness… how disturbing the world is and pathetic life is as a superhero.. While I applaud the efforts of the writers and editor, to try something different and fit within the superhero mold, there was a lack of originality and a tediousness to the collection. Perhaps there is a reason that superheros don’t fly well off the pages of graphic novels? Perhaps this is a unique literary character, the superhero, that is really best identified by the art as well as the story? Looking for a good book? The writing is strong here, but the title and cover art might be misleading. The Beatles in a graphic novel? Why not? If you’ve been reading any of my reviews lately, you’ll note that I’ve read a fair number of graphic novels. It makes sense, if you know me… I’m a closet artist, and love the idea of illustrated books. But most of my life, growing up, graphic novels hadn’t truly existed, and when they did come to life, it was as a vehicle for comic books. Superheroes, vigilanties, the usual fare. The idea of a comic book/graphic novel telling a different kind of story, one that didn’t come in 33-page bytes, and especially something of a biographical kind…well, that still strikes me as unusual. But i love it. And I’ve long been a Beatles fan. I have to admit that I started this by reading only the title, and not the sub-title, and thought I was going to read a graphic novel about Pete Best. There was a momentary twinge of disappointment, but anything to do with the Beatles…I was all for it. While a Beatle fan, I’m not deeply knowledgeable in all facets of their history. I’ve heard the name Brian Epstein associated with them , but wasn’t sure quite how he was connected (unlike George Martin, whose name has become nearly synonymous with the Beatles). For this very reason, this book was incredibly great — it raised awareness of one person’s strong connection with the Beatles. In fact, if this story is true, it’s more than a connection…Epstein is the first person responsible for the Beatles’ rise to popularity (this is in no way intended to discount the Beatles’ ability to write and perform music or the afore-mentioned George Martin’s contribution). What the book reveals about Epstein is quite personal (his homosexuality). There are some hints that Epstein’s personal assistant had a serious crush on him, which he never recognized. I can’t help but wonder the reason for this. It continued to make me wonder where this was going, but never appeared to actually be necessary to the story. What was quite interesting, however, was the idea that it was through Epstein’s family wealth and his drive to succeed, that led to the beatles’ meteoric rise … his buying thousands, hundreds of thousands of copies of early Beatles records to help get them on the charts; his making huge concessions and bargains with the likes of Ed Sullivan in order to get the Beatles on the show. I found this information quite fascinating. So the question that comes to mind, though is: Why as a graphic novel? A graphic novel doesn’t go in to quite as much depth as a traditional biographical novel might, and I can’t help wondering what I’m missing. On the other hand, if I saw a book on a shelf about the biography of Brian Epstein, I probably wouldn’t pick it up. As a graphic novel, it was definitely much more accessible, and what it did do was make me interested enough in the subject matter to want to read more. Because it’s a graphic novel, clearly the art plays an important role in the book. The art here was very stylized…not super realistic, not manga, not Cartoon Network cartoony, but a hybrid that works very well. There were times that I couldn’t tell the difference between which Beatle was which, but for the most part it worked. 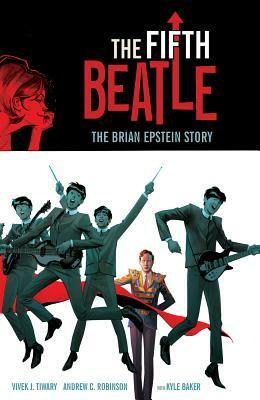 And while I am mentioning the Beatles specifically, it might have been nice to actually see them a few more times, but we have to remember that this is a book about Brian Epstein, who had a connection with the Beatles, and not about the Beatles specifically. Looking for a good book? This is an interesting vehicle for a biography, but it works. Although this is book 2 in a series, all indications lead to the fact that there is no need for anyone to read book 1 first…it is set in the same realm, but is not part of the same story. Note, please, that this does not come from my having read book one yet — only what I’ve noticed from other reviews on goodreads! I started out totally captivated. 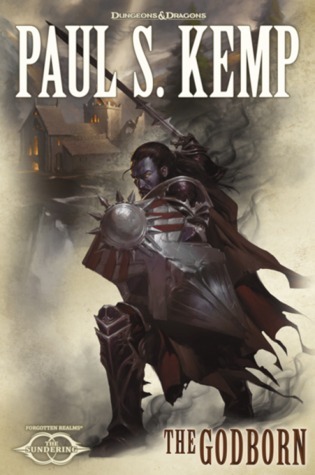 Author Paul S. Kemp hits us with an earth-shattering bang and catches our interest, but I quickly lost hold of that bang as I tried to make sense of who all the different characters were, where in this world they were, and how the stories might ultimately come together. This is not an unusual story-telling technique Diverse characters and diverese stories that ultimately come together), I think Philip Pullman and Roger Zelazny and Kim Stanley Robinson have done this very well. But for some reason, this was a distracting issue with this book. It took me nearly half way through the book before it captivated me enough that I trusted it would come together and make sense in the end (and it did). But what holds the book together through that point is Kemp’s writing and characters. In fact, it is many of the seemingly minor characters or the ‘villians’ who have been fleshed out by Kemp so nicely that we want to continue reading their story. There is also the wonderful blurring of the lines of black and white and good and evil. There seems to be a little darkness in the good, and possibly a little light in the evil. The end does manage to bring it all together, but this book is not so much a series of obstacles to get to the ending as it is a following of characters who learn a little more along the way. Looking for a good book? This book will take some effort, but could be a wonderful read if you give it the chance. When I read and review a book, I try very hard to take in to consideration the intended audience, knowing full well that it may not be me (though I don’t know why not…I like reading just about any kind of fiction!). So who is this book targeted toward? This book is clearly aimed at the younger teen-aged male reader. One could easily think of this as a James Bond for teen and pre-teen boys who don’t know James Bond yet. It is action packed, mostly fast paced, and relies a little on the skill of our young hero, Peregrine Harker, and a lot on fortune and luck, with different people saving him at the very last possible moment. 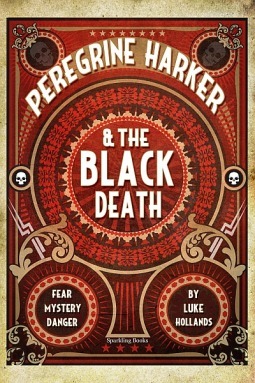 Peregrine Harker is a young boy during the turn of the century London who works as a newspaper reporter. Following up on one story, he stumbles across something so much larger, which produces a chain of events that he becomes intimately entwined within. Fist-fights, sword fights, gun battles, and car chases…this book has it all, even that touch of potential romance that likely speaks directly to those shy teen and pre-teen boys who probably dream about adventures like this every night! Surprisingly, the book starts off slow. I had started it twice, completely lost interest in it, but, because it’s on my review shelf, returned, determined to finish it. it wasn’t hard, once I actually got in to the book, but that could be a hurdle to some. It’s also not a book to be read too closely. This is intended to be read and experienced in the moment. Flash! Move along to the next dangerous moment! etc. If you start to read it too closely, you realize how foolish some of the people are. Why create an elaborate scheme to have someone killed when it could be done so much quicker and cleaner and simply? Well…the asnwer is… it doesn’t create for exciting adventure then! I’m not a big fan of heroes who survive, over and over again, by luck and the fortunes of others. Occasionally? Sure. But Harker’s fat is pulled out of the fire too many times in this book, by something (or someone) other than his own wits and ingenuity. Still, I liked the breakneck action and intrigue. This is sure to be a hit with its targeted demographic! Looking for a good book? This is a fun, fast-paced adventure for the teen and pre-teen boys. 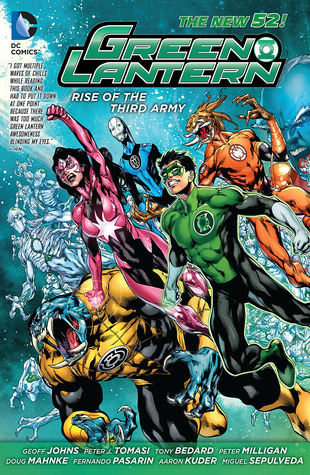 Here we are with still another “Death of the Family” book in the DC comics “New 52” comic book/graphic novel series. If you are a little bit confused just as to who the Red Hood is, feel free to raise your hand, alongside mine. If you are pretty clear as to who this is, you must read a lot of comic books! I’ve gone back and done a little research and learned that Red Hood is Jason Todd, who was the second ‘Robin’ to Batman. Jason Todd/Robin was killed by the Joker (who, incidentally, was the original Red Hood back in 1951 [are you with me, still?]). 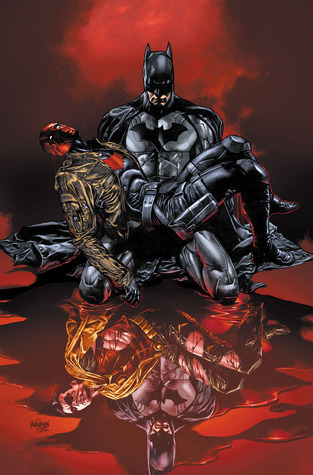 Jason Todd/Robin was resurrected (it’s comic books … they do that) and becomae the Red Hood — an anti-hero with an attitude. Have I lost anyone yet? This is a little complicated and the story branches out a lot, but it’s still a manageable read. But then we get two pages of ‘Arsenal’ flashback, that probably isn’t at all necessary, spend 11 pages fighting alongside the Teen Titans, and then we have one page teasing us with a new storyline, feturing a Dr. Hugo Strange, then back to the Teen Titans, and then we meet up with a completely new villian, Death Stroke, with another one page teaser of a story. Eight pages of Joker story, which seems like it would be nice, but it’s coming from Nightwing’s point of view… we’ve already read that in the Nightwing book. Then it’s time for that obligatory 33 pages of story that is found in each of the “Death of the Family” books. It almost fits well here. 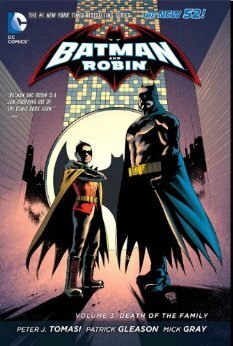 But it is followed up some ‘outlaw’ story that doesn’t feel like it ties in well (but it does manage to include young Damian, the newest Robin. ANd then it’s back to more Joker story and one of the most ill-fitting nightmare sequences I’ve ever read in a comic book. This book has it all, and unfortunately, that’s too much. This could have, should have, narrowed its focus and told the story … not all the stories. Perhaps, if you’re a serious comics fan you understand all these people and relationships, but to the outsider, it failed to tell a cohesive story. What worked well, were the parts that were told elsewhere. This had the potential to be a strong book, but tried to do too much. Looking for a good book? This almost works, but less would have been more. Well now … I don’t have a clue what’s going on here! Is this part of the “Death of the Family” storyline, or not? Is this the same Batman who’s about to be a part of a devasting near-death moment with the Joker? This Bruce Wayne, who takes a ‘vacation’ and actually seems relaxed when he discovers history about his mother and father. Bruce Wayne…relaxed? Since when? And this litte…whippersnapper… of a Robin (he’s new to me) is able to come up with information on Wayne’s parents that is new to the Batman? Really? it felt contrived and foreign…definitely not a Batman story to me! The Joker story-line is thin (though appropriately frightening, with the Joker wearing his own face skin upside down [loved that part! ])– feels forcefully added in to this book. But the time traveling (we the reader) to 1765 … really? REALLY?! How does this make for a cohesive story? What a mess! I was mostly just lost in this miasma, and when the obligatory 33-page common story appeared, I at least had 33 pages that made some sense, though how it was supposed to fit with this book, I’m still not sure. I’m wishing that, like Damian, Bruce, and Alfred, I could snap myself awake from this! Looking for a Good Book? Keep on looking. Not sure who these people are. Robin too precocious. Joker story-line thin. Mostly just boring. I really didn’t enjoy this.